Spring is here! Let’s get outdoors. Trees and wildflower buds are bursting. New birds arrive on every south wind. 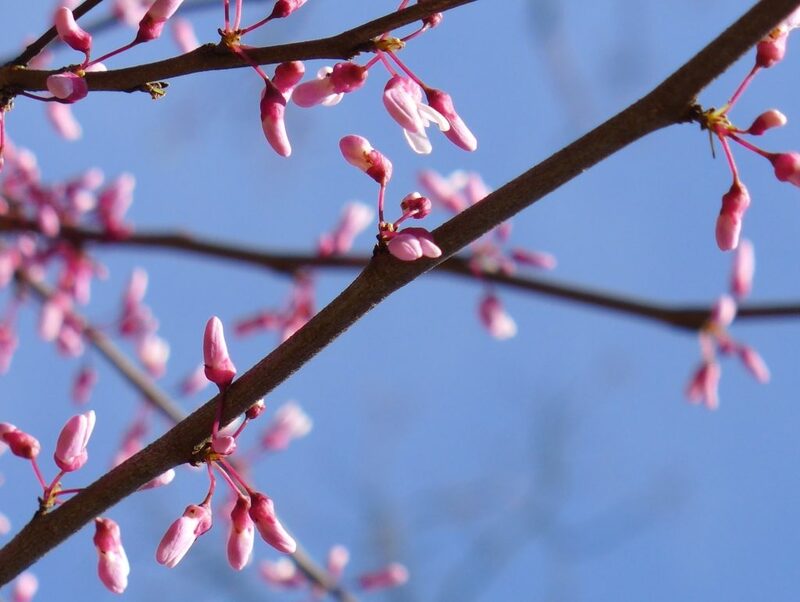 I’m sure we’ll see redbuds. Will they be open? Dress for the weather and wear comfortable walking shoes. Don’t forget your binoculars! This event will be held rain or shine, but not in thunder. Check the Events page before you come in case of cancellation.